With the relationship between athletic director Pat Chun and football coach Lane Kiffin decaying almost from the outset, it became clear that the FAU tenure of one of the two was about to come to a close. 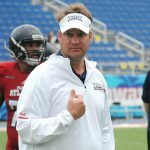 After winning 11 games, a Conference USA championship and a Boca Raton Bowl title in his first season, FAU wasn’t about to force Kiffin out. Operating without a contract for the last several years of his five-and-a-half year tenure, Chun elected not to wait around to see whether FAU president Dr. John Kelly would force a change. 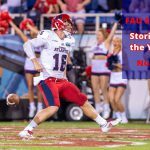 In January, Chun left FAU to accept the same position at Washington St.
Kelly didn’t wait long to find a replacement. In March FAU announced the hiring of former Missouri assistant athletic director Brian White as the new head of the Owls’ athletic department. FAU AD Pat Chun Leaving for Washington St.
A new athletic director hired from outside of the department almost always signifies a change in priorities, attitudes or culture. Chun came to FAU from Ohio St. amid much fanfare regarding his ability to raise money. 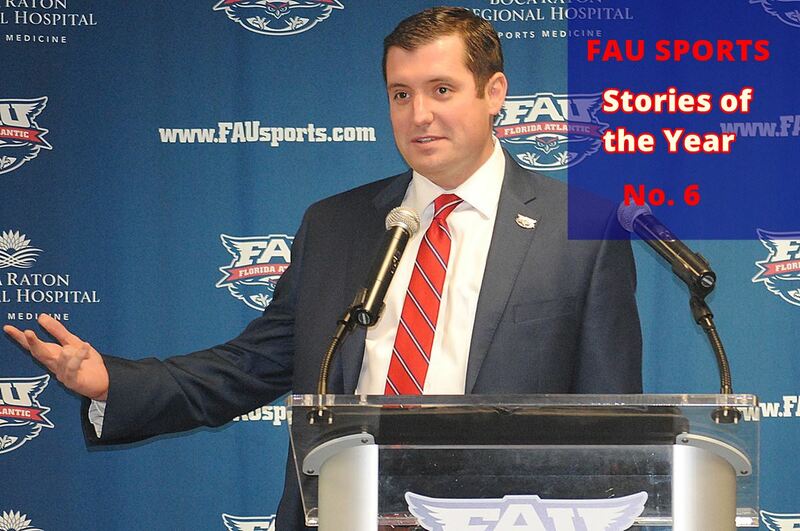 During his tenure did make many structural changes within the department that will benefit FAU moving forward. However, what was supposed to be one of his greatest skills – fundraising – didn’t transition well into the South Florida market. While FAU did announce the initial funding gift for the Schmidt Athletic Complex during Chun’s tenure, it took Chun’s athletic department more than three years to raise enough money to add to the Schmidt Foundation’s initial gift needed to allow the project to move forward. It still isn’t fully funded. Yet, somewhat curiously, Washington St. touted Chun’s fundraising prowess as the primary reason he was the right guy to head their department. Early in his tenure Chun did remove football coach Carl Pelini mid season amid drug allegations, but Chun’s two highest profile hires, football coach Charlie Partridge and basketball coach Michael Curry, failed to yield results on the field. Chun is the person who initially brought Kiffin to the table, but Kelly and the Board of Trustees needed to step in to close the deal. Enter White, who literally grew up around athletic departments. White’s father, Kevin, is currently Duke’s athletic director. His brother Danny is the AD at Central Florida. Only on the job for three months, it’s far too early to judge White’s impact on the FAU athletic department. His biggest decision thus far has been the firing of Curry and the subsequent hiring of Dusty May, who most recently served as an assistant under White’s brother, Mike White, at Florida. Brian White says he’s spent much of his first three months attempting to build, and rebuild, relationships with donors and potential donors throughout the South Florida area. One reason for optimism regarding the new administration: The summer “#WinningInParadise Tour”, which features White and FAU coaches discussing their programs, made stops at South Florida Duffy’s restaurants over the past two weeks. The events have been well produced, well executed and well attended – a noticeable change from previous such events.